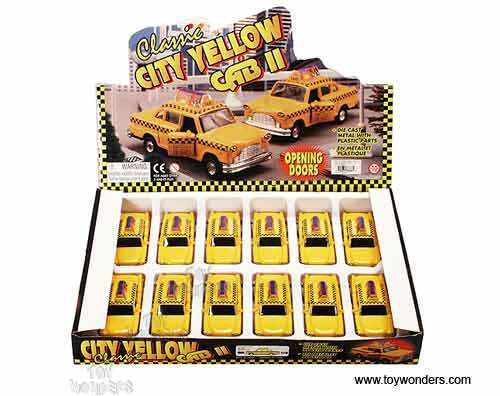 95892 City Yellow Taxi Cab. 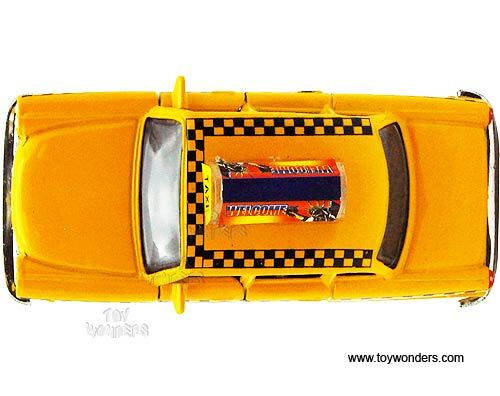 This taxi is a 4.5" long diecast vehicle. This metal taxicab has pullback motor action. 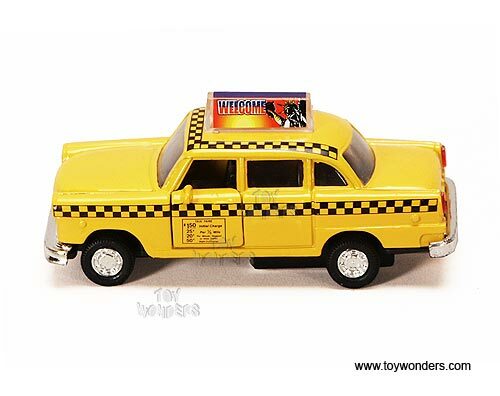 Classic yellow checker cab with opening doors. 12 pcs per display box. 72 pcs per inner box. This car is often selected for custom imprinting purposes. 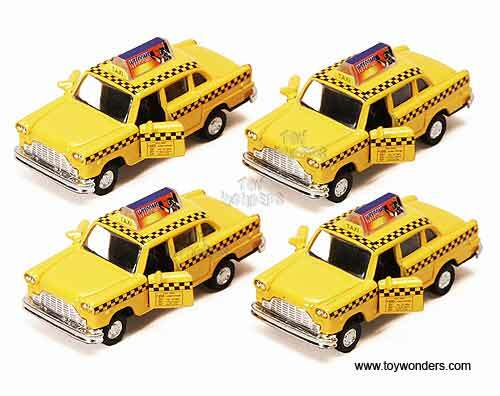 To see more Taxi Cab colletor die-cast models (click here).